How to crop a picture in "Illustrator"
When you first start the program, the toolbar is on the left side of the screen. You can move the panel and to hide and re-show it by going to Window > Tools. 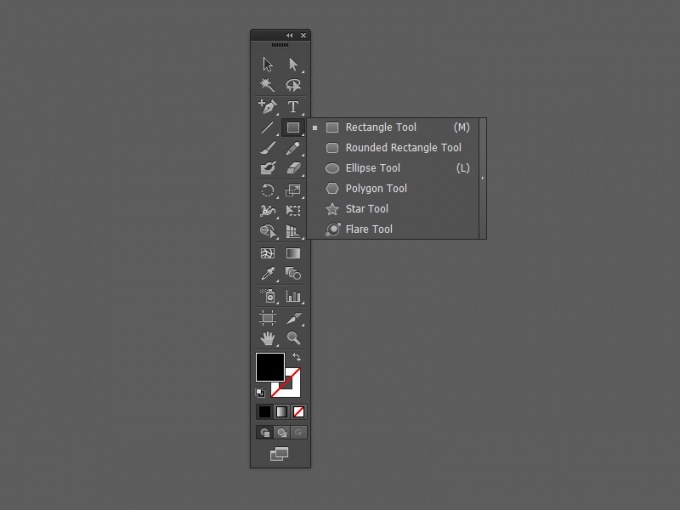 Tools with this toolbar are used to create, select, and edit objects in Adobe Illustrator. Some tools offer options that are opened by double-clicking the tool. The small triangle in the lower right corner of the tool suggests that it has drop down menus, which are hidden additional tools. To see the hidden tools, click on the visible tool and hold until you reveal the drop-down menu. To see the name of the tool just hover over it with your mouse. You can click on the double arrow at the top of the pane to switch between views one and two columns. To disconnect a group of hidden tools from the basic panel, click the arrow on the right side drop down menu. Most of the tools the cursor looks like its icon, and they all have different points of activation of the action. But you can change the cursor to a scope with a crosshair for more precise work. Go to Edit > Preferences > General and select Use Precise Cursors, or simply press [Caps Lock] on the keyboard.